we may need to adapt the position also by differetn states of operating polywell - in single spark experiments ireelevant yet. any simulations taking in mind these? I'm not sure what you are attempting to imply. Certainly the ball/ confined cloud of electrons will attract the pos. charged ions. Boron at plus 5 charge will gain KE at the same rate as would deuterium at pos 1 charge. .The hydrogen would also gain KE at the same rate. Due to the different mass to charge ratios though, it would gain more velocity. KE= 1/2 m * v^2. This causes separation of the different ions on a single pass. But the Polywell is a steady state machine. The ions pass back and forth perhaps as much as 10,000 to a million times before loss due to fusion or escape. The mixture will quickly approach a homogenous mixture of variable speed ions. Having saidthat, there does seem to be different harmonics and ion bunches that may develop passively or due to manipulation. It is a complex system that takes a wide knowledge of plasma physics to try to understand. And, even then experiment may force modification of fondly held conclusions. Field reverse configuration experiments is a example of this. If you are assuming that the ion streams will maintain purely radial vectors and converge at the exact center and you were interested in a single pass machine, then manipulation of different ion release points/ time is certainly relevant. Bussard, Nebel, etel in the 2008 patent application even mention this possibility ("black hole effect"). But this is only as a fanciful - what if consideration. As the pos. ions pass into the electron cloud their central motion becomes dominated by inertia, and as they approach closer to the center they are slowed and/or diverted by the building positive space charge. This places a limit on the size of the "core", certainly much bigger than a point and some significant radius less than the total radius of the machine. I don't know the anticipated radius of the core, except that there has been mention that it will be of a size and resultant density that will result in most of the fusions occurring within it's volume. You could calculate this radius based on quoted central virtual anodes that reach up to ~ 20% of the virtual cathode potential well depth. That seems to be a functional limit according to Bussard. You can't spell "the" and you want to teach us plasma physics? DeltaV wrote: You can't spell "the" and you want to teach us plasma physics? you shouldnt be such a fool and pretend non-native speakers would be more stupid than uneducated americans. But you spelled "experiments" and "dynamically" just fine. Is it a lysdexia thing? Learn us more. DeltaV wrote: But you spelled "experiments" and "dynamically" just fine. Is it a lysdexia thing? teach us more. no, my ITB test before study shows im very talented in languages and text and that was before study. its YOU THINK FASTER than the english is there, and then you shortcut the english in the lack of expressing what you mean. with more interaction the eloquence would rise and the typical expressions would be also learned. im confident you still m i gh t know what i mean espec wiht graphics, even without the. 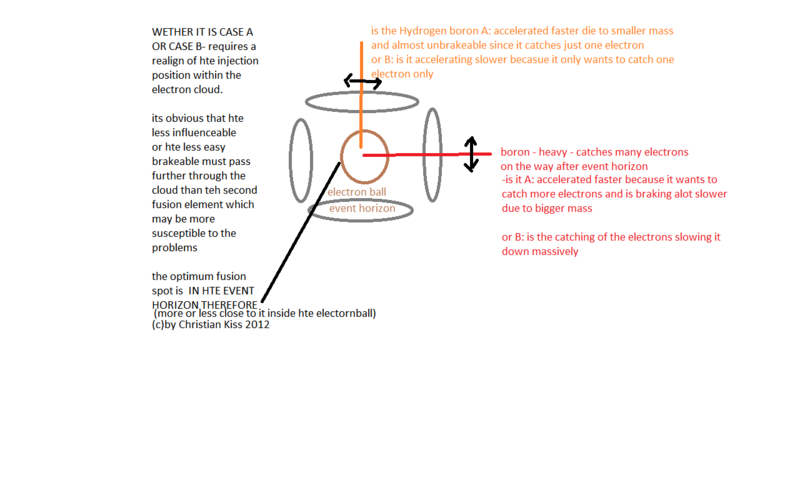 you think the realigned fusionspot makes sense? Pardon us, Perfessor. Could you repeat the question in Stoogish? stooges. you grampy baby you. id die without my ego. it makes me being good at stuff. DeltaV wrote: Nyuck! Nyuck! Nyuck! waht kind of person has over 1100 posts in a forum?